When the Market is High - Invest or Wait? The market is supposed to go up, but somehow a strong stock market can make investors nervous. The idea is that whatever comes up must go down, and a market reaching for new highs must be about to head south. You’ve probably heard that you’re supposed to buy low, and you may have trained yourself to see weak markets as a buying opportunity (well done!). So what are you supposed to do when the market’s been going up? The view that things will change is often called contrarianism. When contrarians see everybody panicking like it’s 2008, they realize that this too shall pass, and they might even buy more stock. They may say “the stock market is on sale” or something similar. This is mostly a good reflex – to not go with the herd – when it comes to investing. Even when the markets go up, the herd mentality can be dangerous. Investors in the tech boom (and every other bubble in history) eventually lost money. 1999 couldn’t last forever. When emotions like irrational exuberance drive the market, it’s best to stay away. But it isn’t always the case that the market is being driven by emotions. Sometimes the market goes up because stocks are worth more: profits grow and the long-term prospects of companies improve. The market is supposed to go up over the long term. For decades, that’s what it’s done – with plenty of crashes and head-fakes along the way, and that bumpy road is the justification for those higher returns that we expect out of the stock market. We can’t expect to get high returns unless we’re putting money at risk. Between 1995 and the end of 2015, the S&P 500 with dividends reinvested returned roughly 9.5% average annual returns. Of course, we never know what the future brings, and past performance offers no guarantee of future results. That “average annual” return includes years when investors suffered substantial losses and years when they did very well. There is probably not a single year in which the market returned exactly 9.5%. Even with the financial crisis, the market returned roughly 6.14% per year between September of 2007 (just before things got bad) and the end of 2015. Buying at that “peak” is better than a sharp stick in the eye, although the volatility in 2008 was not any fun at all. Do you believe that things will not change substantially (that is, do you believe that the market will continue to go up more than it goes down in the future, that businesses will continue – for the most part – to innovate and grow)? If you answer yes to both of those questions, you’re probably a long-term investor (and perhaps cautiously optimistic). So, how should you invest? Invest in exactly the same way you would if you weren’t paying attention to the markets. For long-term investors, it’s often best to ignore the ups and downs of the market. Instead, focus on your plan, and make sure that your money is well diversified according to your risk tolerance. That’s it. Don’t worry about the market reaching new highs – it’s supposed to do that. The market can never be too high to invest if you expect continued expansion (and timing the dips is no small task). If you’re a short-term trader, you’ve come to the wrong website for information, but there are some safe investments described below if you insist on investing differently when the market seems high. For long-term investors, the best course is to continue investing according to your plan regardless of what the market does. You’re buying high this month, but the market might continue upward, and you’ve been buying low in other months. It’ll all come out in the wash.
What About a Lump Sum? You might be on board with long-term thinking when it comes to small, monthly contributions to your retirement plan. But what about a large lump sum of money – an inheritance, your bonus, or proceeds from selling an asset? Those one-off situations require careful consideration, but that doesn’t mean you shouldn’t invest when the market is high. Again, ask yourself the questions above. Next, do an honest assessment of how you would feel and react if the market fell immediately after you invested all of your money (nobody would appreciate that). With that information, make a strategy. You don’t have to invest everything all at once – but it’s dangerous to try to time the market. Instead, make a plan and stick to it (yes, it’s boring, and that’s how it’s supposed to be). One solution is to set up a systematic investment schedule to invest that money over several months. You could even invest over a few years, depending on how much it is and how worried you are – but remember that there’s a tradeoff to every decision you make. Which is best? It depends on what happens and your ability to tolerate losses (whether actual losses or missed opportunities). Whatever you do, it’s best to set up a well-defined strategy and follow it. If you decide to invest over the next 12 months, automate those investments so that you don’t have to deal with the logistics every month and – more importantly – you’re not tempted to make changes every month. Where to keep the safe money: especially if you’ll hold money on the sidelines while moving into the market slowly, you’ll need to decide how to invest the “safe” funds. You can leave that money in cash, but it probably won’t earn much (which might be acceptable if you’re more concerned about market losses). Moving a step up farther into the risk spectrum, you could include short-term high-quality bond funds, which might pay a bit of interest. However, bonds can also lose money, and you may have trading costs and capital gains to contend with as you sell the bonds periodically. For more ideas on how to invest (if you choose to invest any differently), read about investment options that are typically considered safe. Just remember you may be taking other risks, such as the risk of missing out on gains and the risk of losing value to inflation. If you’re a long-term investor, this is not only difficult – it’s nerve wracking and unlikely to succeed over numerous market cycles. You might get lucky once or twice, but you might not. Several studies have shown that it’s not bad to invest at the high point each year (as if you could be so unlucky to invest at the market high every year). Sure, you might earn a little less, but you’ll probably do better than the market timers. And you’ll be investing, which is what your plan said you’re supposed to do. Note: a “correction” is another term for a stock market crash or soft markets after strong markets. 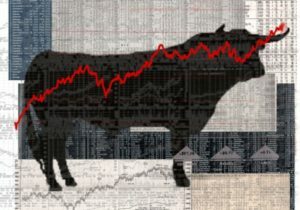 The term suggests that the market was out of line going up so high, and it needs to get back to more reasonable levels. Saying the market is too high to invest is the gateway to market-timing. Now that you know what to do when the market is high, prepare yourself for the next time the market goes down. Just because it’s the disciplined (and therefore, sensible) thing to do doesn’t mean it’s always going to turn out well. If you read this and invest money in the markets, you might lose money. Don’t invest if you can’t afford to take that risk. Murphy’s Law says that this time, for you, things could very well go badly – so proceed with caution.